Some expats prefer urban cities like Bangkok over the wider region like Chiang Mai or northern Thailand. Shipping your belongings abroad, whether to a big city or a small town, can be expensive if you don’t look around and compare options, so get free quotes from companies early when moving to Thailand. Thailand is a newly industrialized country, rich with a fascinating culture and picturesque landscapes. The fact that it is called the “Land of Smiles” helped convince an estimated 1,050,000 immigrants pack their bags and head for this idyllic destination. Thailand is certainly a haven for fresh starts and sweet endings, with its 513,120 sq km of land offering various options for laidback living or a busy city life. Geographically speaking, it's the world's 50th largest country. Like other countries in Southeast Asia, the climate is tropical, with marked wet and dry seasons within the year. 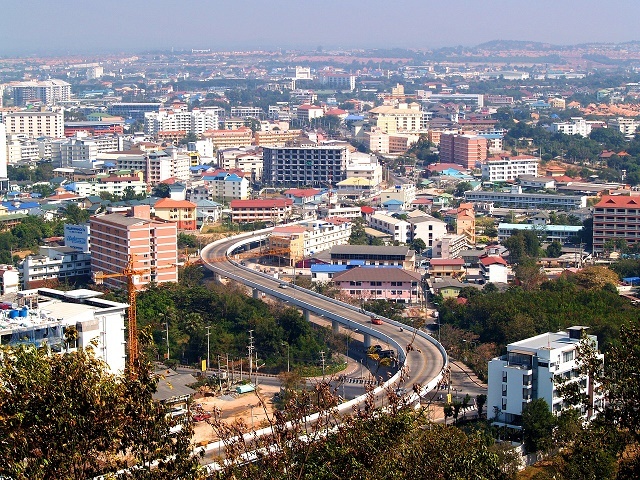 The country's topography is generally composed of mountainous areas in the northern Khorat Plateu, which is bordered by the Mekong River, and the central and southern areas are mostly plains, crossed by the Chao Phraya river valley. Thailand, a country largely governed by a monarchy, thrives on the gifts of its land and people, exporting about $105 billion worth of goods and services yearly. Its main export is the fragrant rice harvested in an estimated 55% of the country's available land area. Still the second largest economy in Southeast Asia, the Thailand Baht is currently at 30.05 to $1 US dollar. Though the livelihood of most citizens centers on agriculture, it also ranks high in the manufacture of automotive and electronic goods. Bangkok, the country's capital, is the heart of Thailand's political, economic, cultural, and spiritual activities. The capital also has two international airports and four rapid transit lines. Short distances are usually traveled either by bus lines or by tuk-tuk, which is like a motorized rickshaw. It is also where main educational centers, hospitals, shopping options, and the best hotels are found. And just like any bustling capital, the Stock Exchange of Thailand also flourishes here. Some of Bangkok's most visited spots also include the Grand Palace (official residence of the Kings of Thailand), the Wat Pho (Temple of the Reclining Buddha) and the Wat Arun (Temple of the Dawn). If urban business life is what an expat needs, Bangkok would have to be the location of choice in the country. Those who prefer a simpler, more serene environment only have to go a little further into Thailand and find the towns of Ayutthaya beckoning with the mystical allure of its temple and palace ruins, or to Pattaya and Phuket, to frolic on its spectacular beaches, in its crystalline waters and world-class resorts. There are numerous options for housing in the country: apartments, condos, and even detached houses. Any foreigner who wishes to enter the country and stay for longer than thirty days is better off securing a visa from a Thai Embassy or a Consulate-General. Being a country abundant with customs and beliefs, one should be familiar with the basic ‘rules' before moving. There is no set dress code, but short shorts and sleeveless tops are out of the question, especially in the premises of Buddhist temples. Thai Royalty and any image of Buddha should always be regarded with the utmost respect. It is also advisable to familiarize yourself with the wai, the Thai version of a handshake greeting, where they press their palms together in a prayer-like gesture and then bow. Adjusting to a new place can be overwhelming, especially in a country with a profoundly unique culture. But if you're an expat hungry for a change or simply thirsty for a dose of adventure, then you're ready to share the smiles in Thailand. Get quotes from removal companies to find the best deal and search for a credible shipping company. All removals to Thailand are subject to inspection. Customs regulations are strictly enforced and any violations are subject to fines and for extreme cases breaking regulations will lead to imprisonment. Obscene literature and pornographic pictures are banned. Individuals with a work permit or a one-year visa will be considered for duty-free exemption. All shipment must not be delivered before the expat's actual arrival in Thailand and no later than six months from the date of work permit. Documents required by customs are passports, non-immigrant visa (or resident visa valid for one year), work permits (valid for one year), inventory of all items and shipper's contact address and phone number. Having a permit that is less than one year will result to a 20% import tax and 7% value-added tax on all goods. Household items and personal effects are duty free; however, expats are advised to think twice on bringing personal items as majority of the goods are cheap in Thailand. Often, it is better to buy Thai furniture or amenities than shipping them. High duties will apply to stereo and video equipment, luxury items, carpets, foodstuff, office equipment and all appliances. Expats are only allowed to bring one of each type of electrical appliance; any duplicate will be charged full duties. Computers, fax machines and phones may not be considered as household items or personal effects. As the second largest economy in Southeast Asia, Thailand is certainly an attractive destination for expatriates. It offers a life where expats can work and have fun while experiencing its rich culture. With its tropical climate and cultural treasure, it’s no wonder why Thailand is one of the most interesting destinations in Asia. This country has a beautiful contrast of modernisation and tradition. Its capital Bangkok is a concrete jungle filled with sky high buildings while the surrounding cities conjure images of ancient wats (Buddhist temples) and of locals in wide brimmed hats. Though many expats associate chaotic traffic, urban sprawl and air pollution to this country, expats bound here will soon realise that the fun-loving people, tropical beaches and unique heritage are just few of the reasons why they should be in ‘Amazing Thailand’. Thailand is a friendly destination for families. Locals, especially women, love children. Kids will definitely enjoy a number of theme parks in Thailand offering fun-filled safari, man-made beaches, horror shows, and thrilling rides. Two of the most famous theme parks in this country are Dream World in Bangkok and the Cartoon Network Amazone Waterpark, the first Cartoon Network water park in the world. Over the years, Thailand also has become famous for its captivating wildlife. It is a great place for animal lovers as zoos and animals parks thrive in Thailand. The Khao Kheow Open Zoo is one of the most visited zoos in Thailand. It houses more than 8,000 animals from over 300 species and here, kids can also enjoy a zip line adventure or nigh safari trip. Every major city and town in Thailand has a park where one can hire bikes, rollerblades, skateboards, boats, among others. While the kids play at the park, parents can relax in the sun or listen to orchestras, ensembles, and pop bands during dry months. Other leisure activities in Thailand include volleyball, tennis, basketball and football. Expats can also take part in amateur teams and compete with fellow expats or with the locals. 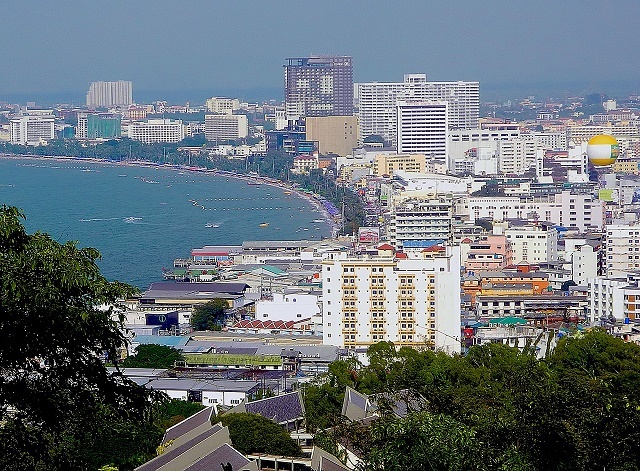 Thailand, particularly its capital Bangkok is extremely popular among shoppers. There are countless malls and markets that sell top of the line products. Clothing is one of the best finds in Thailand because aside from their affordable prices these garments are also locally produced. Some of the items that expat shoppers will find worth their money are handicrafts, Thai silk and electronics. These items are way cheaper than those in neighbour countries Singapore and Hongkong. Some of the best places to shop are the night markets in Bangkok or in the Night Bazaar in Chiang Mai. Here, expats will find all sorts of products that are usually not available inside the malls. 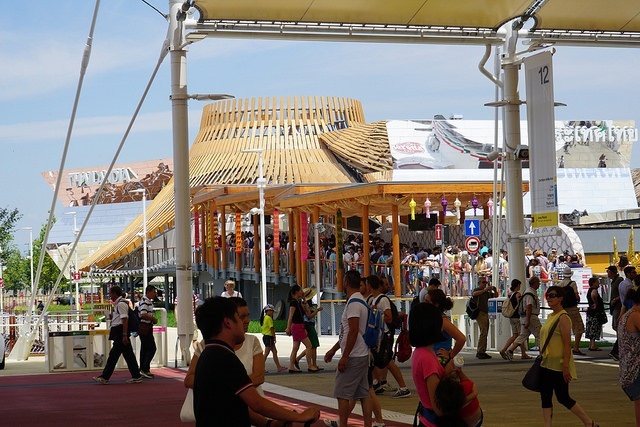 Those who want to shop while getting to know the local culture can visit the floating stores. These stores have been part of Thai tradition for centuries and now serve as a favourite destination for many tourists. Thailand has many floating markets but some of the most popular are the Damnoen Saduak, Amphawa, Talin Chan and Khlong Lat Mayom floating markets. Thailand is a gracious and courteous host to all foreigners. Thai culture will be more of a pleasant surprise rather than a shock. Nevertheless, knowing their customs will make all expatriates in Thailand feel easily at home. Known to be the "land of smiles," this country is home to friendly and cheerful people. Foreigners moving to Thailand will find Thais very welcoming, making it easy to make friends and adjust to a new environment. A common faux pas committed by expats living in Thailand is forgetting to remove their shoes when entering a Thai home, temple and some traditional shops. First-time visitors are often forgiven, but this habit should be followed to avoid being frowned upon. Also, it is considered rude to show the soles of one's feet. Even when sitting on trains or train stations, foreigners should not put their feet up. Expats should avoid touching heads of Thailand nationals. Thais believe the head is the highest part of the body and the most sacred. Dress accordingly when trekking the streets of Thailand. Women should wear clothes that will cover shoulders and upper legs, especially during social functions. Men, on the other hand, should stick to sleeved shirts and pants. Public displays of affections are not encouraged, although Thai teenagers are now seen expressing emotions publicly like holding hands. Be very respectful of older people, monks, and the royal family. Even the friendliest jest about the monarch is not accepted. Kings and Queen are deeply revered as the national identity of Thailand. It's not the difference of lifestyle that expats should be worried about, but more of the country's pollution and traffic problems.